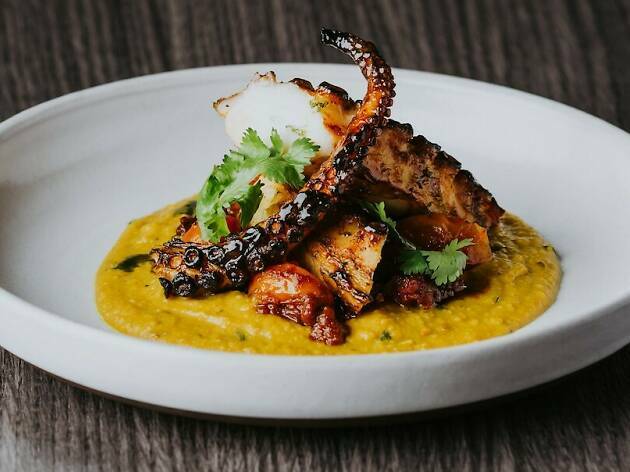 We're not sure why it took so long, but Singapore finally has a contemporary Indian restaurant to call its own. 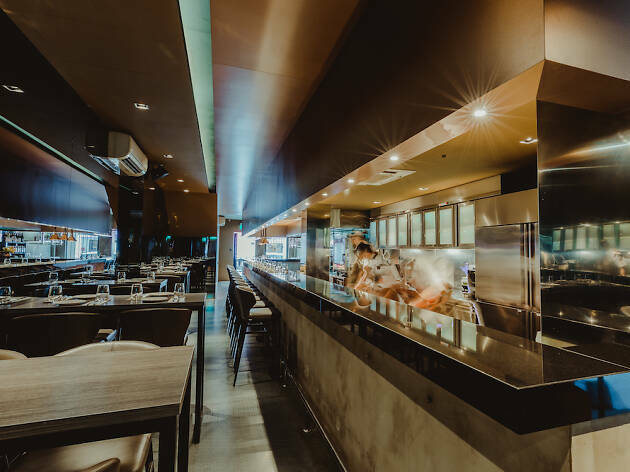 Inspired by his travels around South Asia, his Penang heritage and his time working in Singapore, chef Murugan Thevar has come up with creative yet satisfyingly delicious plates at Thevar. Start your meal with plump Canadian oysters topped with rasam granita ($28/5 pieces) – if this reminds you of a dish at Meta, the modern-Korean restaurant that formerly occupied the space, you're not wrong. 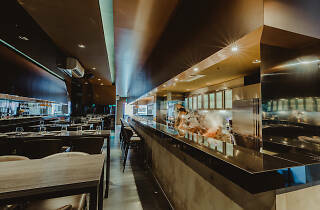 Thevar is part of the same restaurant group and cooked with chef Sun Kim when they were both at Waku Ghin. But back to the food. 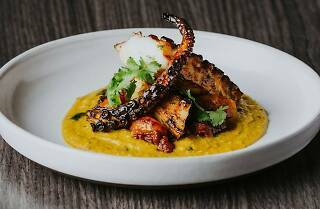 The spiced potato chips ($10) is so addictive on its own, you don't need the tamarind dip it's served with and the grilled octopus ($36) served on a bed of smooth masala lentil puree is topped with a tomato chutney for a burst of acidity. The star of the show is the pork ribs glazed with medjool dates ($35) best served with a plate of berry pulao ($12). Decadent and sweet with a touch of smoke, you might think the combination too rich and cloying – it isn't. Instead the fluffy and flavourful pilaf warrants spoonful after spoonful and the pork ribs that easily slide off the bone disappear much too quickly.